A company which is at the forefront of a pioneering project to develop driverless vehicle technology has moved into a high-tech business centre in Coventry. Conigital Group has opened the office in University of Warwick Science Park’s Venture Centre after the consortium the company is part of secured £2.2 million for its project to bring driverless cars to the streets of Birmingham. The firm is based in the Ignite space at the Venture Centre, which offers innovative, small and start-up companies the opportunity to grow on very flexible terms and subsidised rents. Alongside being based here they receive business support through the Science Park’s Business Ready scheme, which helps tech based start ups and established businesses grow. Project INSIGHT will develop the technology for hi-tech driverless shuttles to improve transport access in cities for the blind, visually impaired or those with mobility problems. Conigital Group will bring its expertise in developing innovative sensors to improve accessibility and create smart inclusive cities. Two hi-tech shuttles will arrive in the region next year which will be tested over the course of a pilot period. They will be built by modifying existing Heathrow Ultra-pod vehicles to incorporate state-of-the-art 3D imaging and innovative sensors for navigation and safety of not only the passengers but also pedestrians, road users and other vehicles. Conigital CEO Monique Seth said: “This is an exciting research and development project which will use the latest technology to create seamless journeys for the elderly and visually impaired right across a city centre. “We want them to be able to start a journey at their home using a smart phone application, programme it with their end destination and then use their phone to complete that journey. The vehicles will feature the world’s first four-dimensional tactile display which will provide sensory feedback for blind users over the course of their journeys. “Initially the project will centre on testing the technology to ensure there is no risk to users or the public,” Seth said. “They experience what it’s like to call the shuttle through an app, walk onto it and their experience throughout the journey and getting off. “Ultimately the end goal is to have these driverless shuttles in the cities of the future – as a form of public/private transport in Coventry, Birmingham, Bristol and across the country. Project INSIGHT is one of eight projects awarded a total of £20 million in funding from the government’s £100 million Intelligent Mobility Fund. Dirk Schafer, of the University of Warwick Science Park, said: “Being here at the Science Park offers a company such as Conigital not just the flexible space but access to a host of other opportunities. 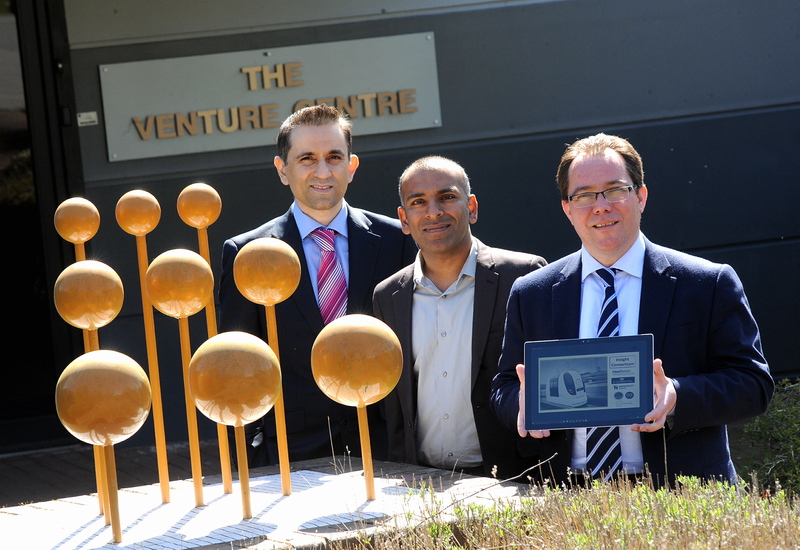 “The firm is already in talks with Warwick Manufacturing Group with regards to elements of their research, future smart city funding proposals and speaking to Minerva – the Science Park’s business angel group – about avenues for funding.